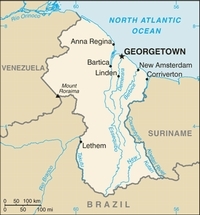 The only guide in English dedicated solely to Guyana. Numerous activities such as jungle survival courses, river trips to isolated Amerindian villages, birding tours and piranha fishing. Where to see wildlife, from the million-acre Iwokrama Centre for Rainforest Conservation and Development to the lesser-known Kanuku Mountains, one of the last remaining pristine Amazonian habitats. Fully updated, Bradt's second edition of Guyana provides all the practical and background information necessary to get the most from your trip – whatever your budget or time constraint. The Making of Guyana is a scholarly, but very readable account of the development of Guyana and its people from the earliest times to the present day.